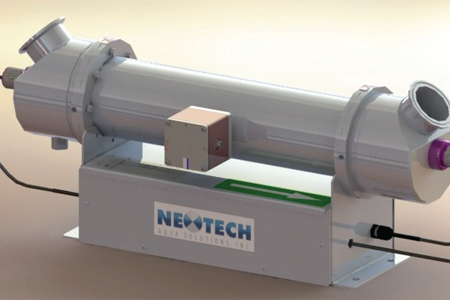 This high-efficiency UV system utilizes NeoTech Aqua’s patented ReFleX™ chamber technology, reflecting over 99% of the 254nm UV generated. It is the highest efficiency, smallest footprint, and lowest operating cost UV system in the water treatment industry. With only a single twenty-eight inch lamp, the D328™ provides users the most convenient and lowest cost service schedule of any low pressure or medium pressure UV system today.